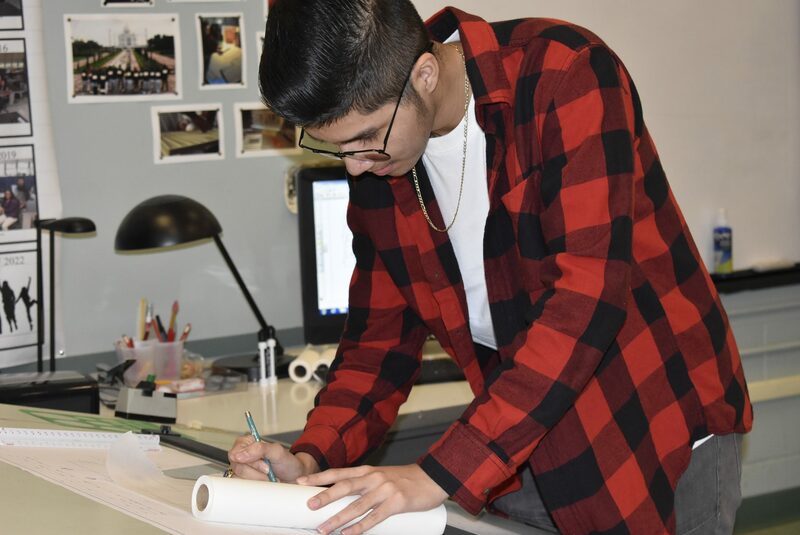 After completing the Drafting Technology Course offered during the freshmen and sophomore years, a student can then enter into the Architectural Drafting program and continue on with the trade until senior year. Architectural Designers draw architectural and structural features of buildings and other structures, and may specialize in a type of structure, such as residential or commercial. 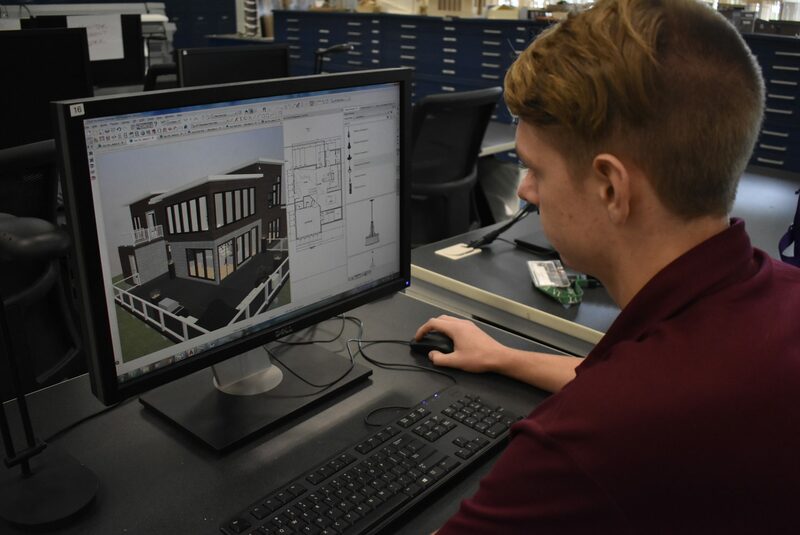 The Architectural Designing Students’ drafting skills are developed in a design office environment, working individually and as a member of a team. 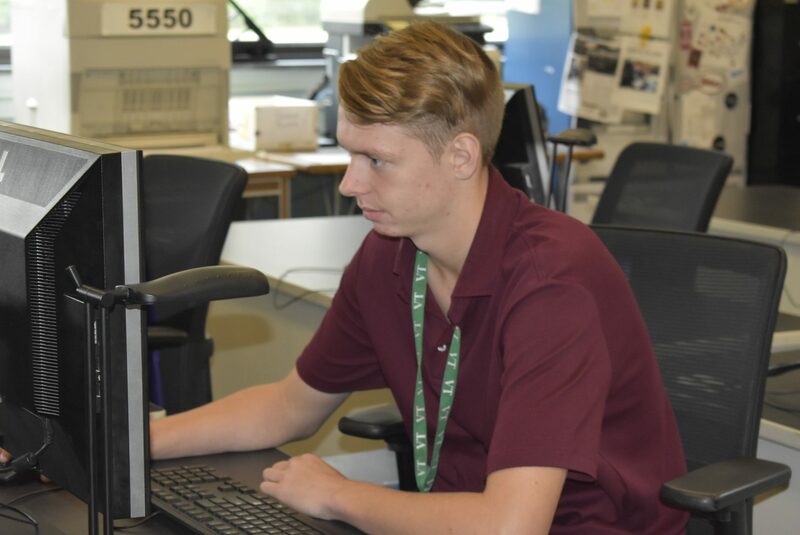 Computer-Aided Drafting (CAD) is offered to each student using the latest versions of AutoCAD and Chief Architect, a BIM (Building Information Modeling) program. Techniques in drawing floor plans, elevations, sections, construction details, presentation drawings, and model making are some of the areas covered through the hands-on experience. 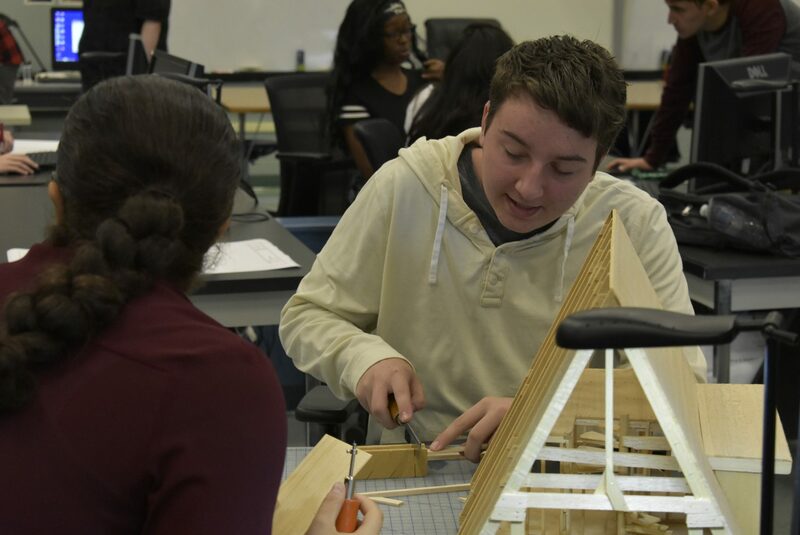 Students also receive specialized training and application concerning the overall architectural design process, construction process, and construction trade math. 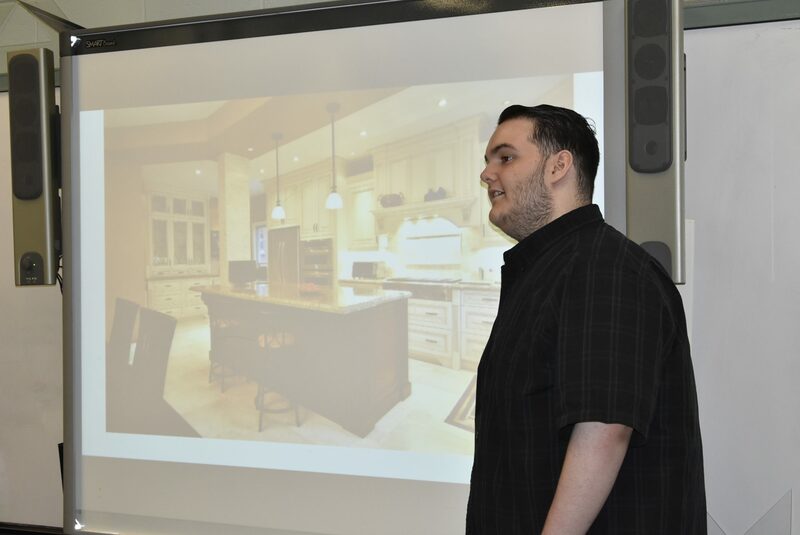 The Architectural Drafting program is nationally certified by the American Design Drafting Association (ADDA). 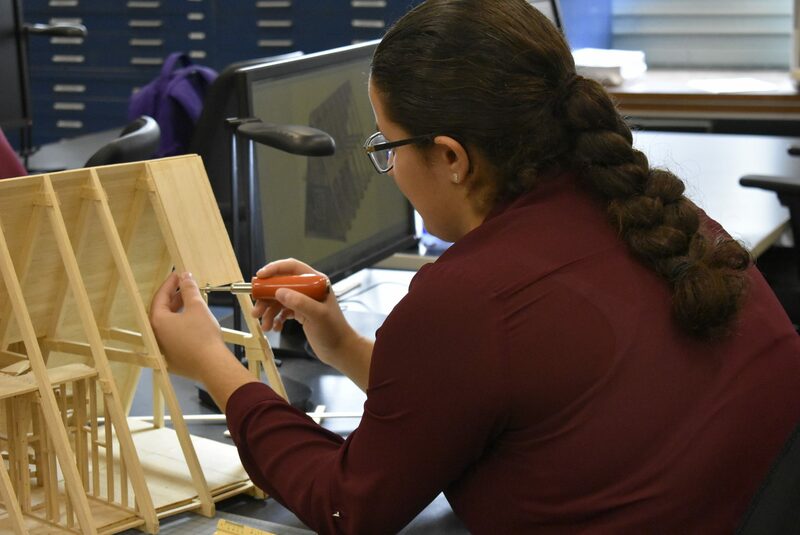 Upon graduation from the Architectural Designing program, students have developed the necessary skills and training to enter into an entry-level position in a professional environment. 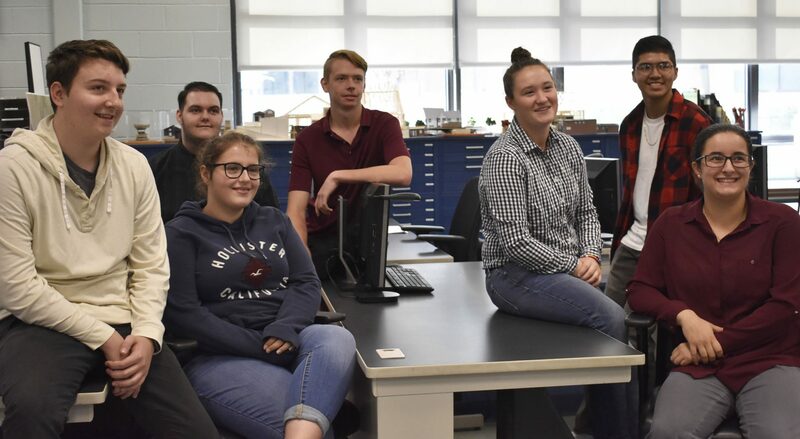 Students can also continue their education at the college level with a possible course of study in architecture, architectural or civil engineering, landscape architecture, or interior design. With the increasing need for residential and nonresidential construction, the possibilities for future employment are promising. *Employment of architects is expected to grow by 17 percent between 2012 and 2022, which is faster than the average for all occupations.